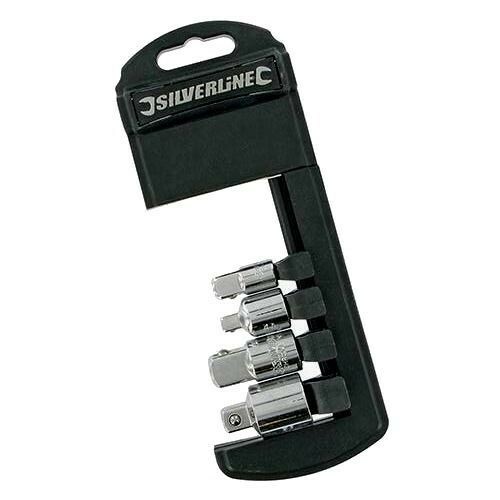 Brand New Socket Converter Set (4 Pieces) Hardened tempered chrome-plated and polished. Spring-loaded ball bearing. Contents: 1/4"F x 3/8"M, 3/8"F x 1/4"M, 3/8"F x 1/2"M, 1/2"F x 3/8"M.